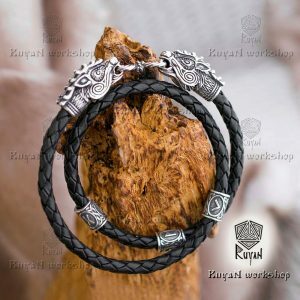 When you purchase you get 2 in 1 — bracelet and necklace for pendant. Animal heads — it’s a clasp (the lower jaw is movable). 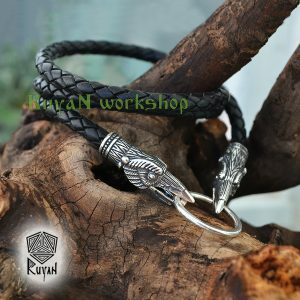 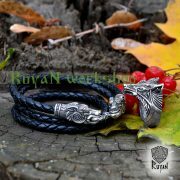 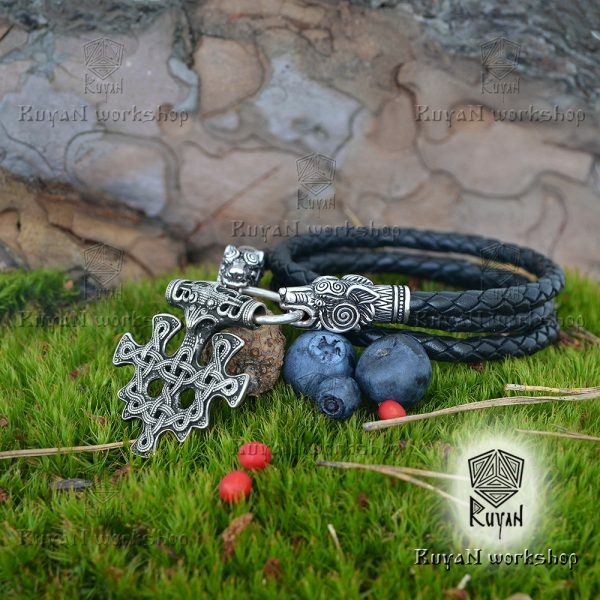 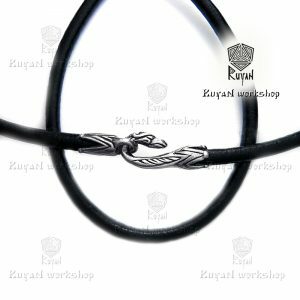 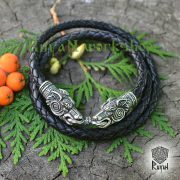 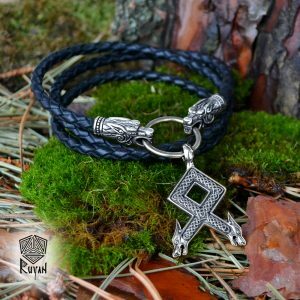 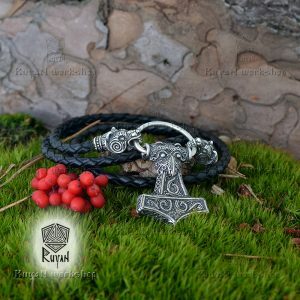 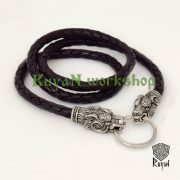 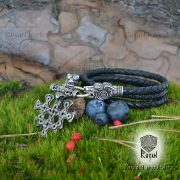 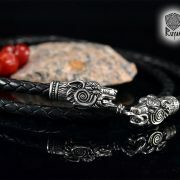 Therefore, the bracelet can be cord for pendants and vice versa. 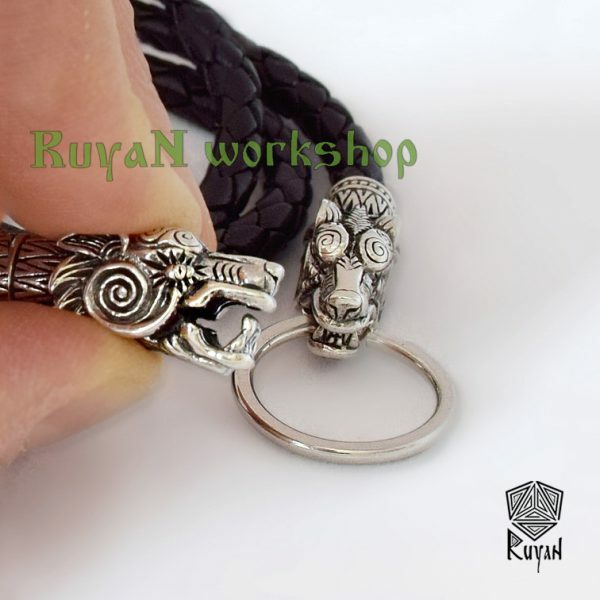 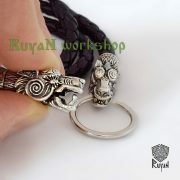 Ring for pendant and ring for bracelet are included. 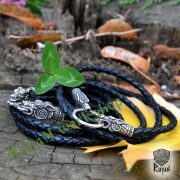 Size of cord: any size. 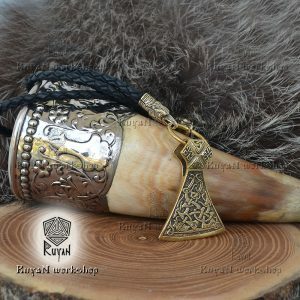 If the options are not your size, write it in the order comments! 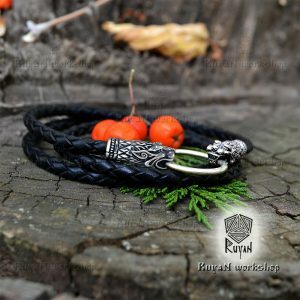 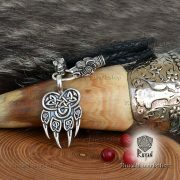 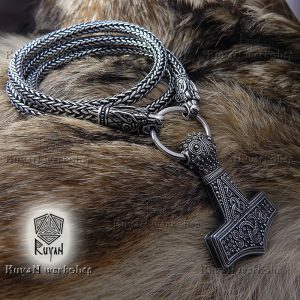 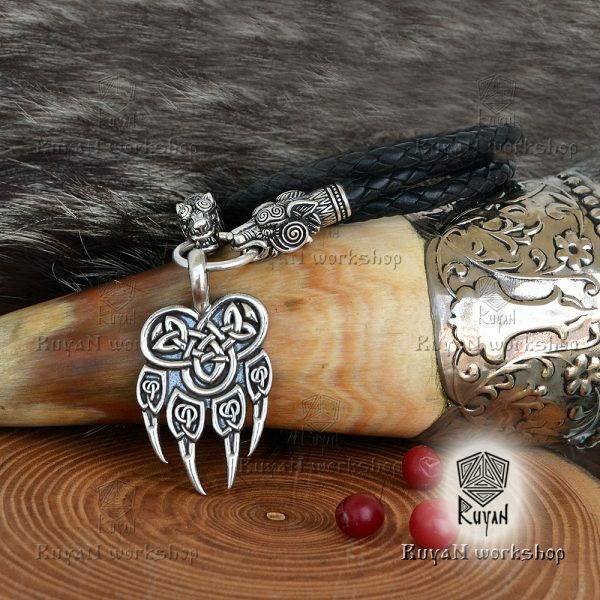 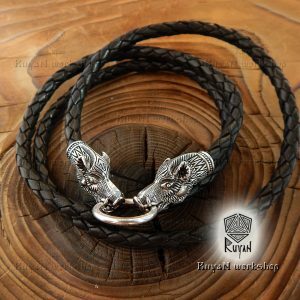 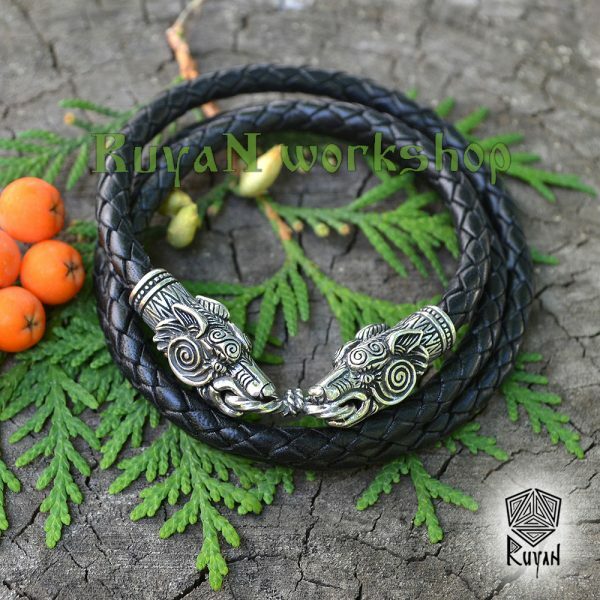 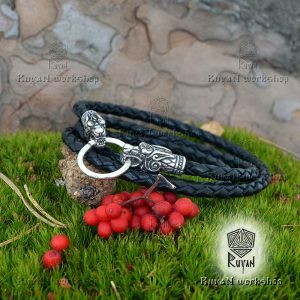 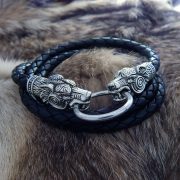 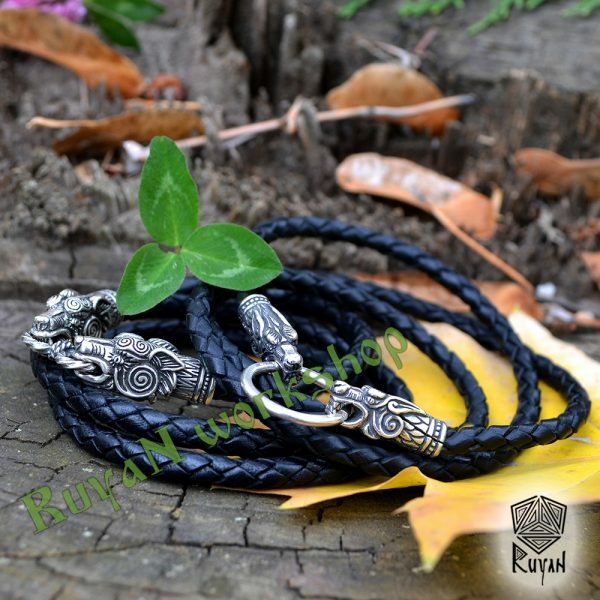 The price is only for the Leather cord with Wolves heads. 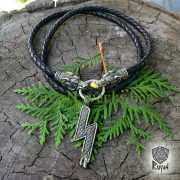 Pendants sold separately.